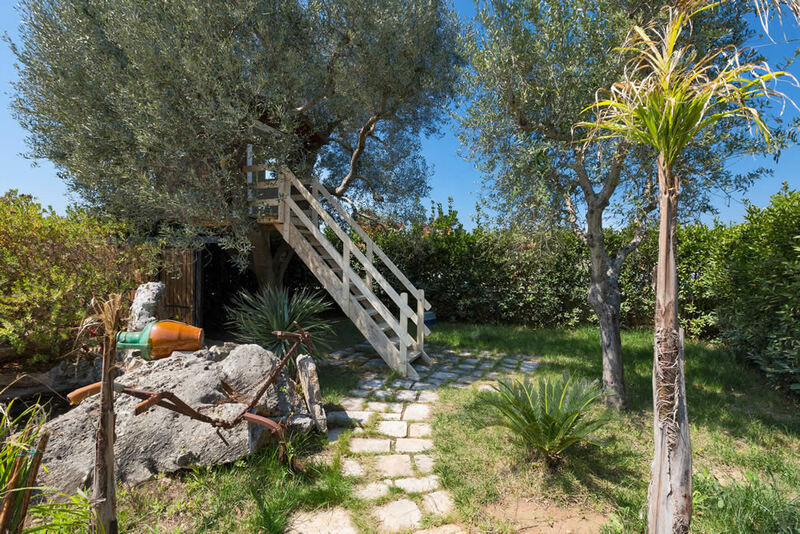 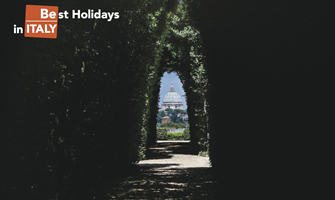 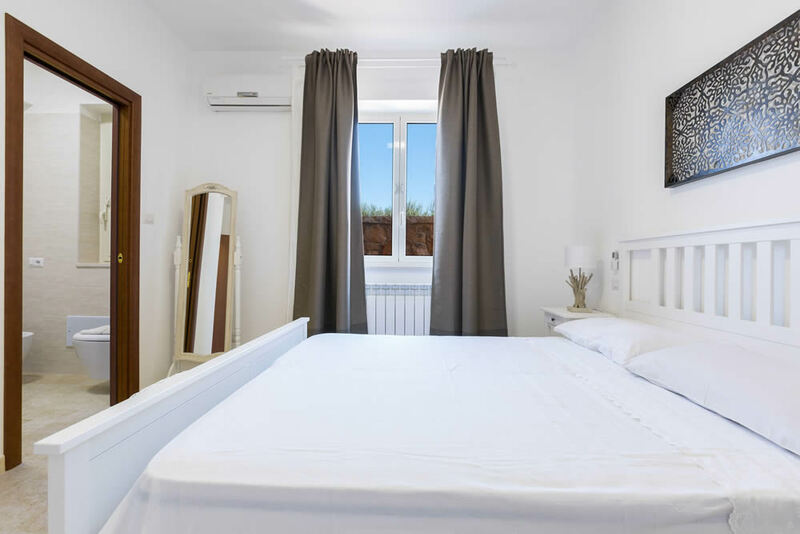 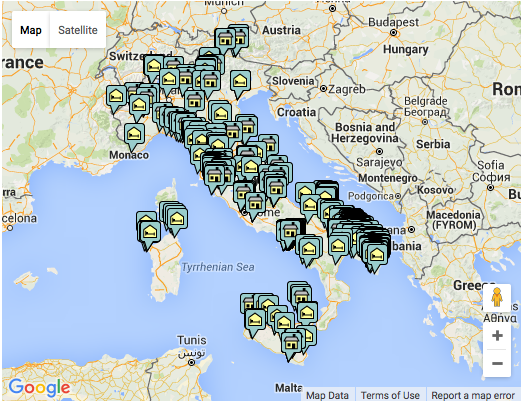 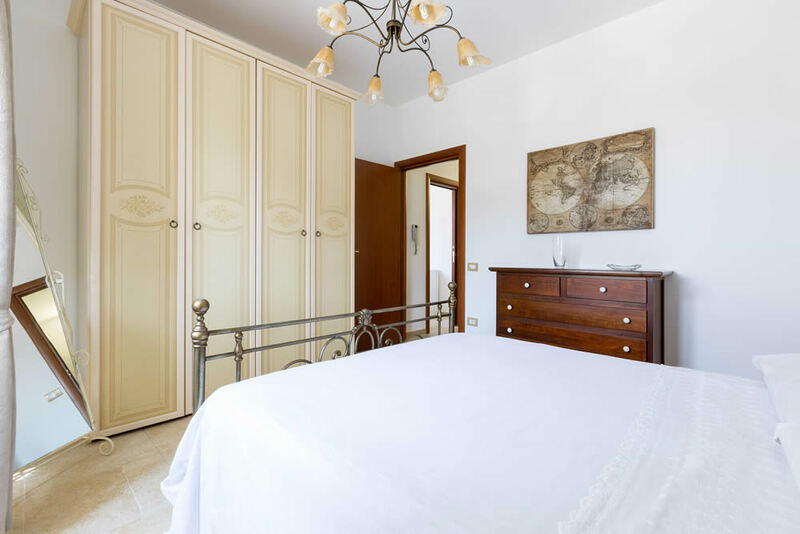 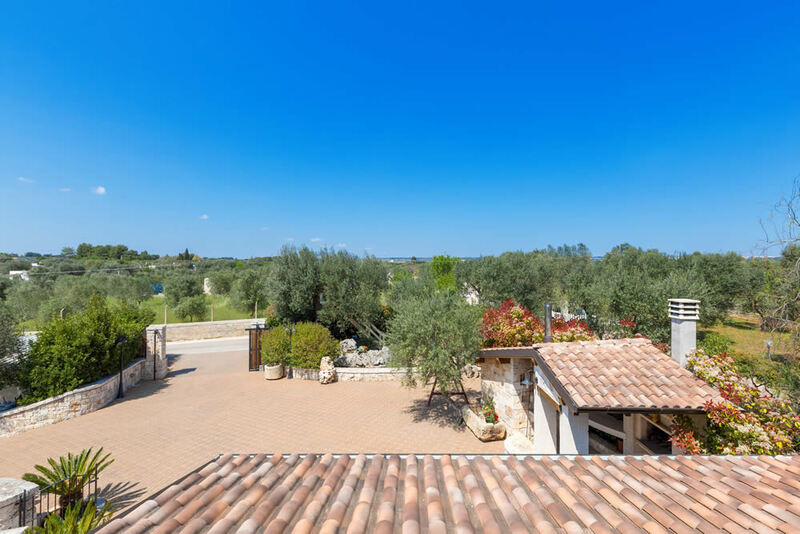 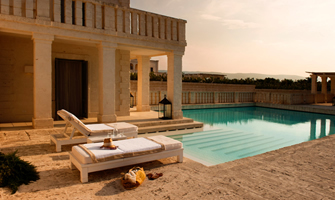 The villa is close to the most beautiful towns of the area: Grottaglie, Ceglie Messapica, Carovigno and Ostuni and their best amenities. 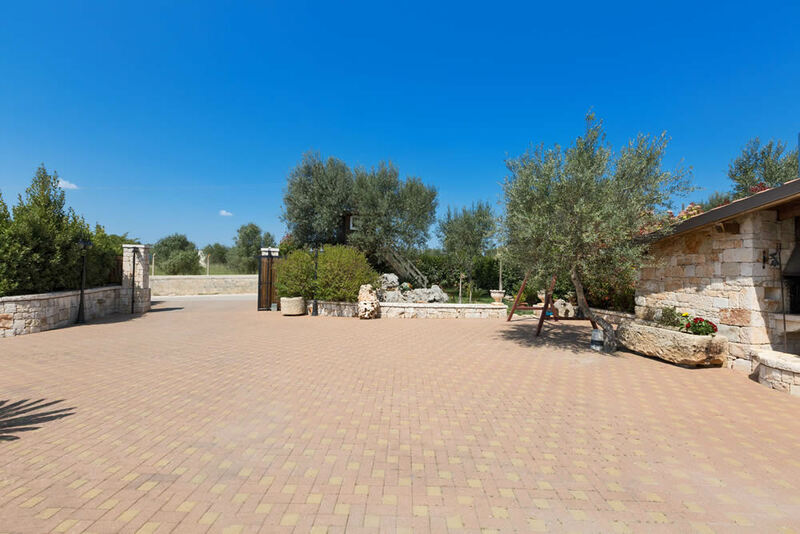 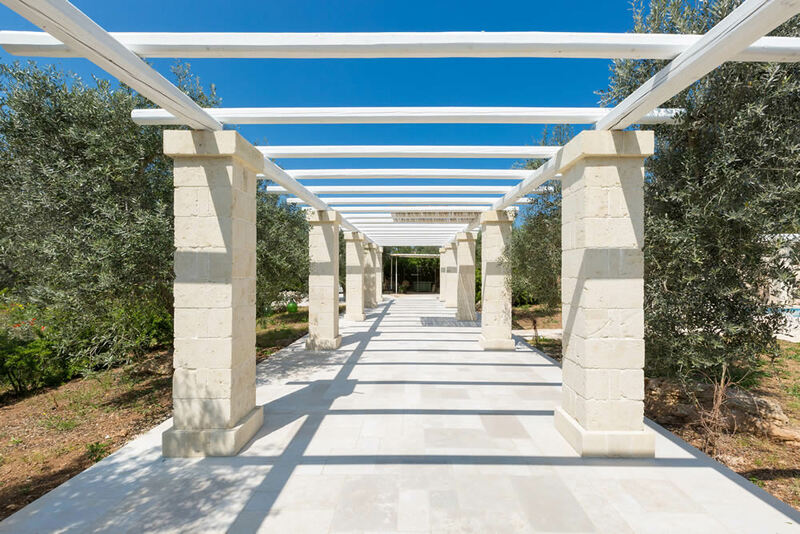 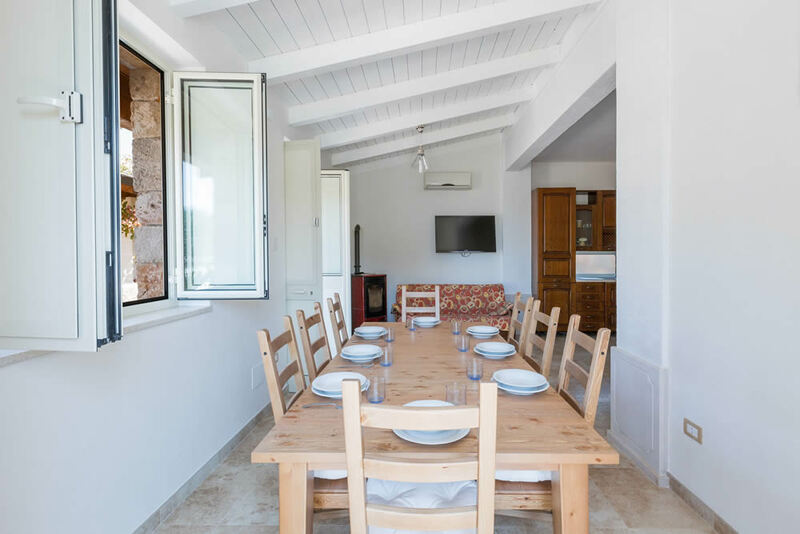 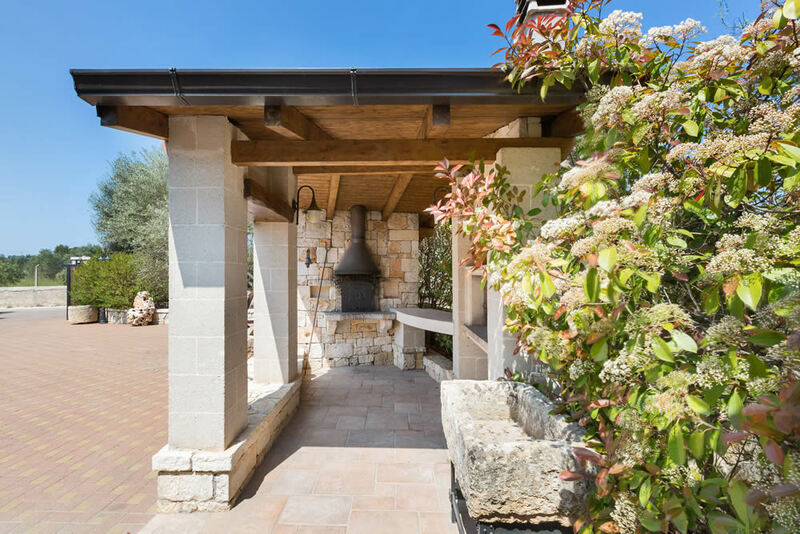 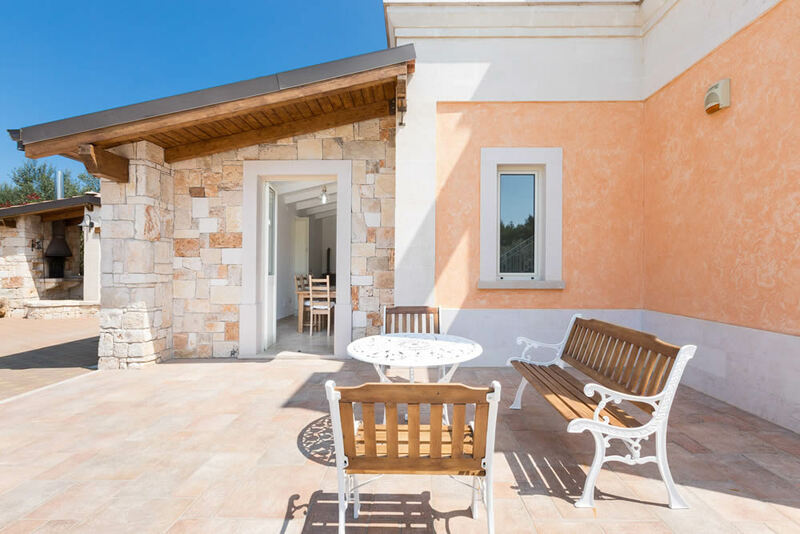 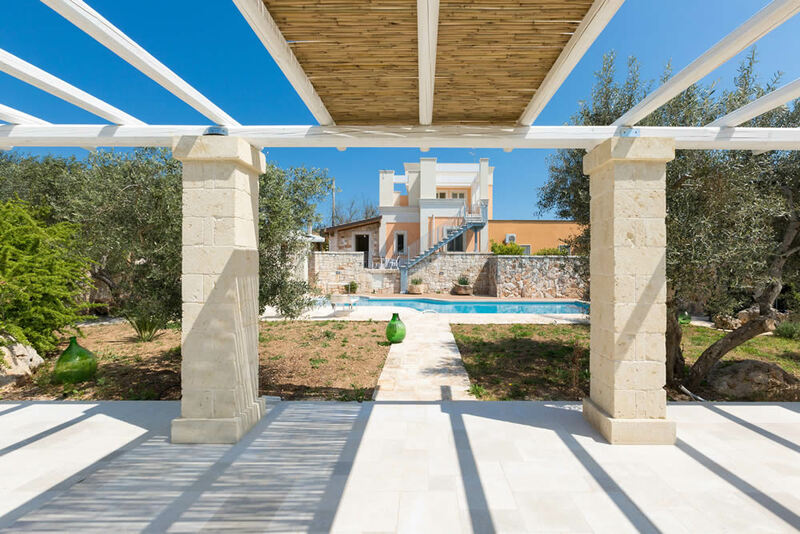 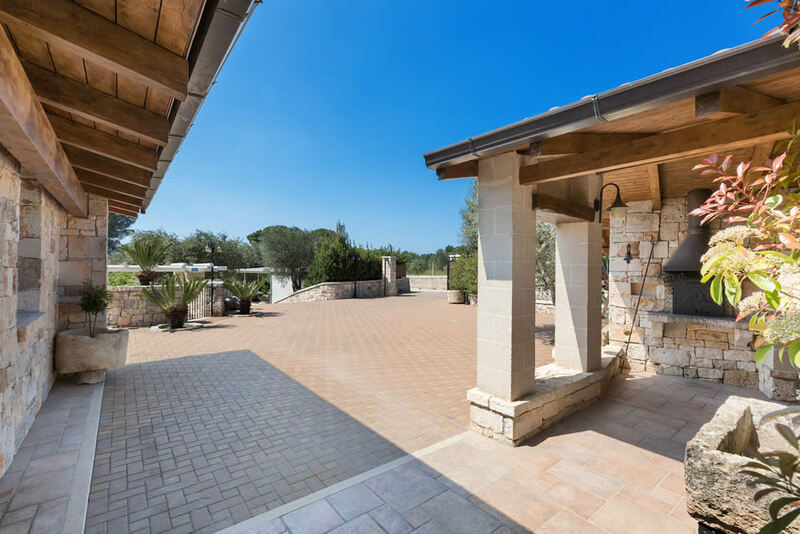 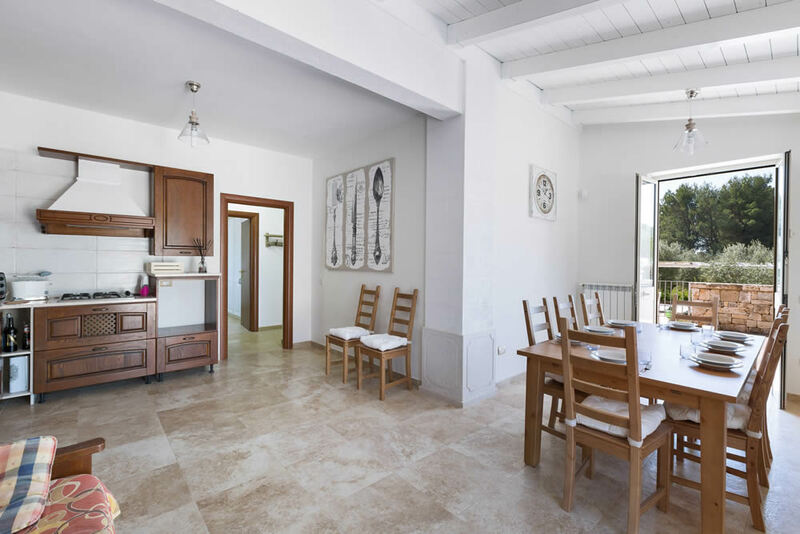 With its large pool, the exteriors designed to ensure you a relaxing time and the green of the olive trees and the Mediterranean scrub all around you, the villa is the ideal solution for a family vacation or for a group of people: 4 bedrooms, 3 bathrooms and it can accommodate up to 10 guests. 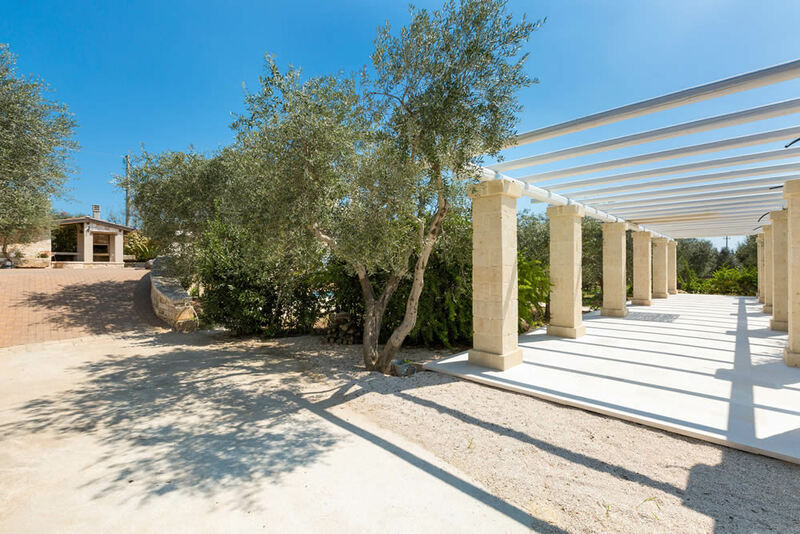 The protagonist of the garden is the 12m x 4m pool, with beach loungers and table; it`s near a pergola that will allow you to have breakfast or even lunch or dinner close to nature. 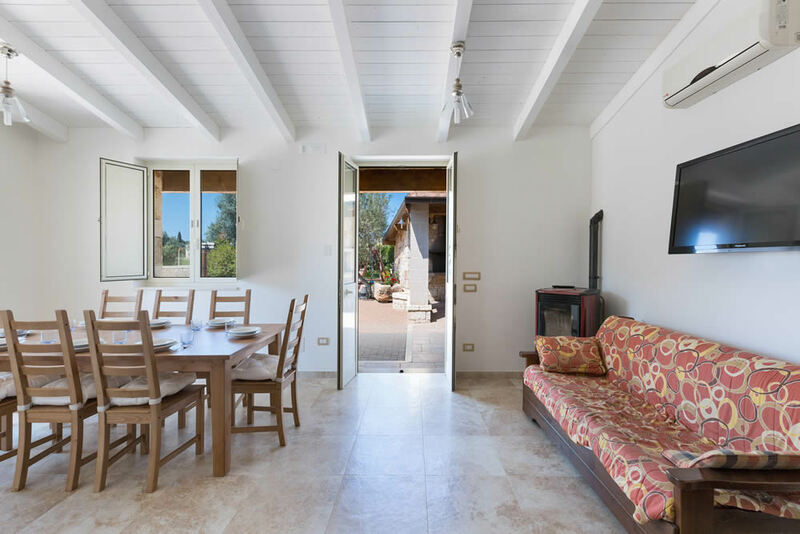 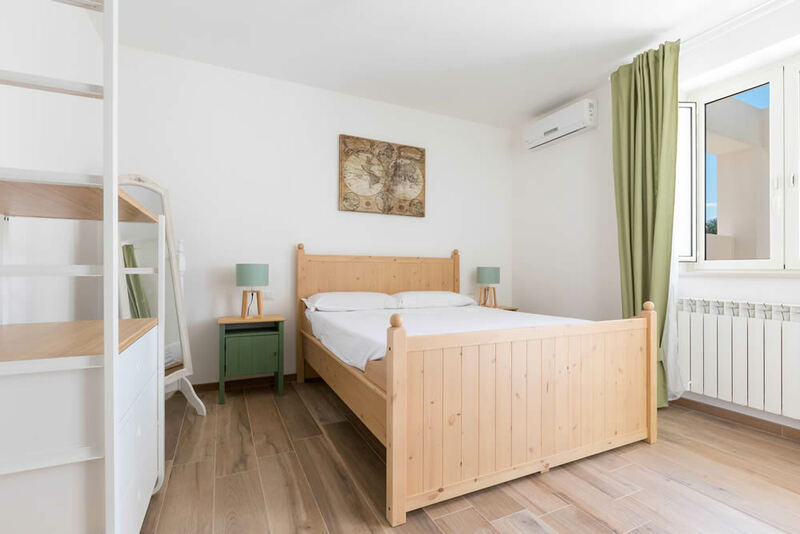 The ground floor consists of a large living room with open kitchen and king-size sofa bed and three of the four master bedrooms, one of which with private bathroom and the other two served by a bathroom with shower. 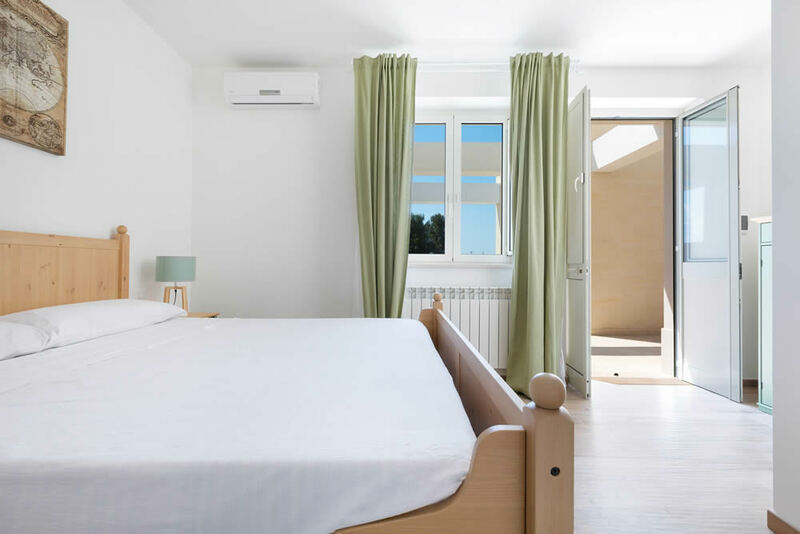 The first floor houses the annex which is characterized by the neutral and relaxing shades and it overlooks the beautiful pool. 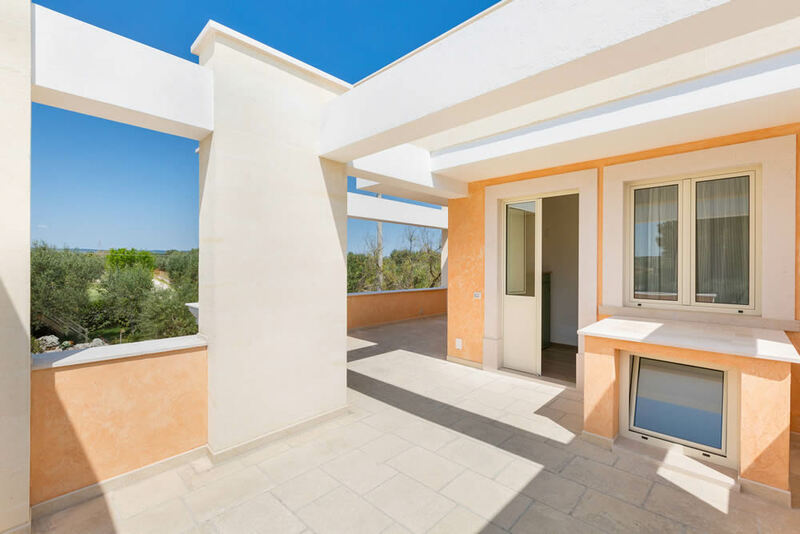 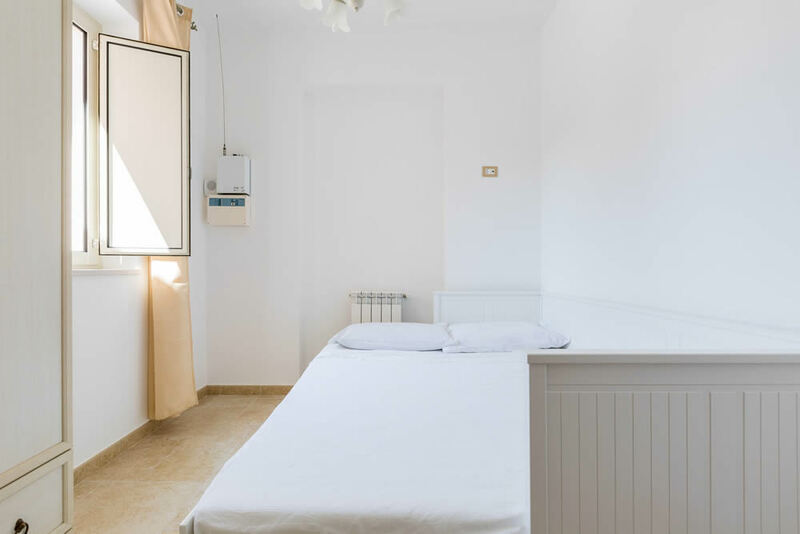 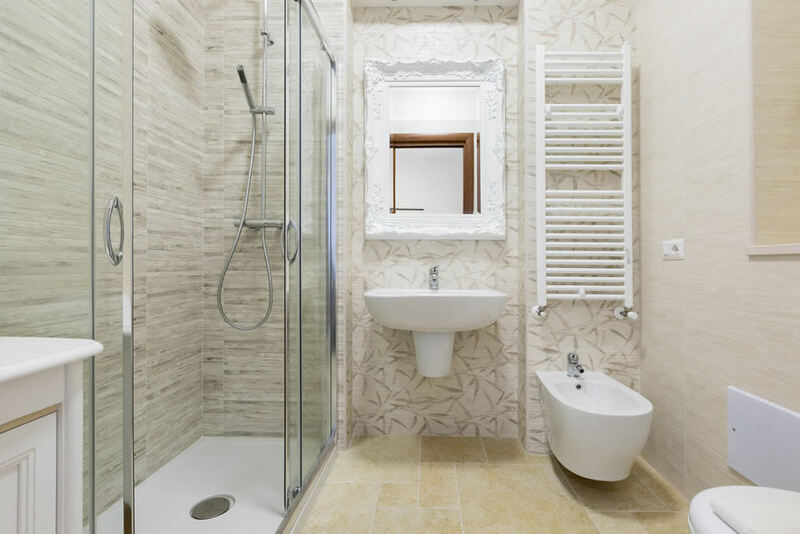 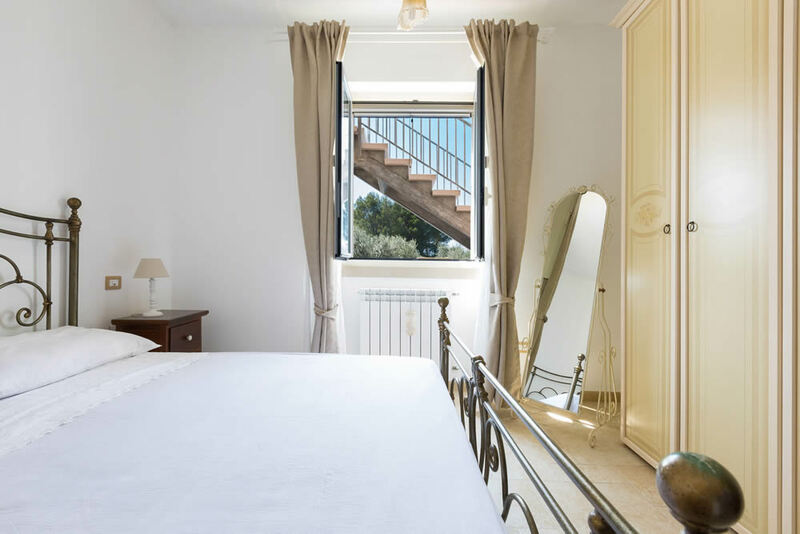 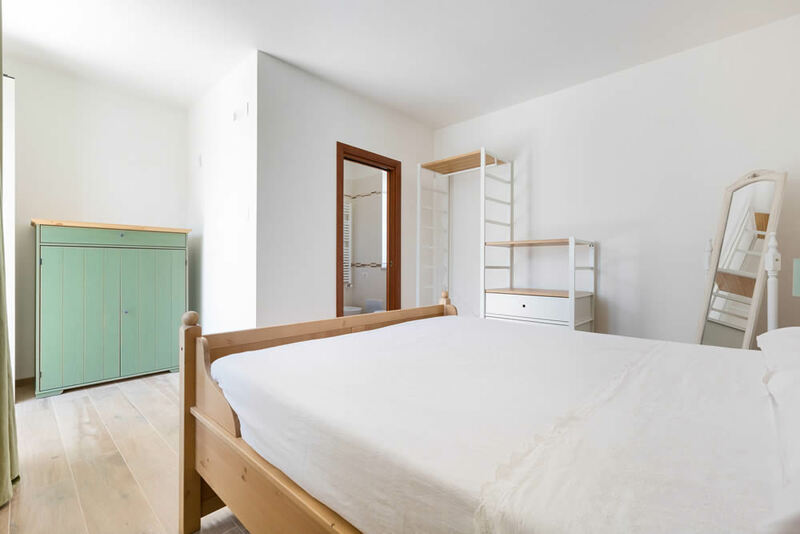 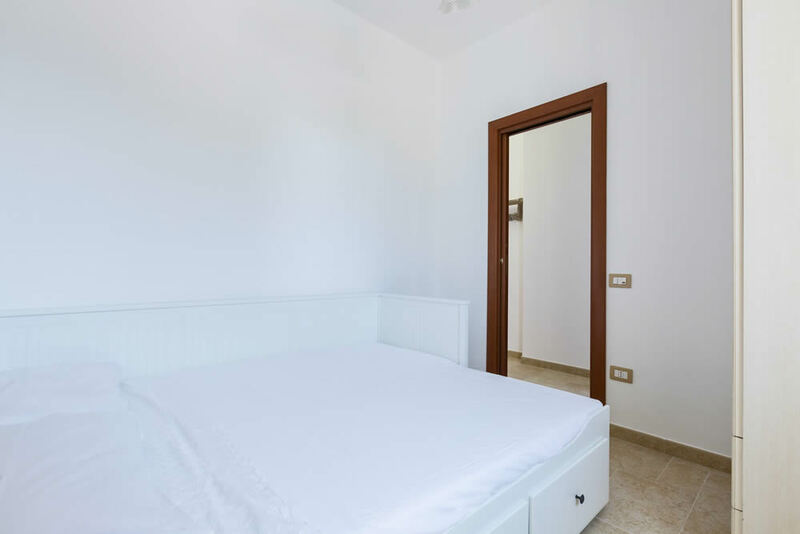 The annex consists of a master bedroom with private bathroom and shower and pertinent terrace. 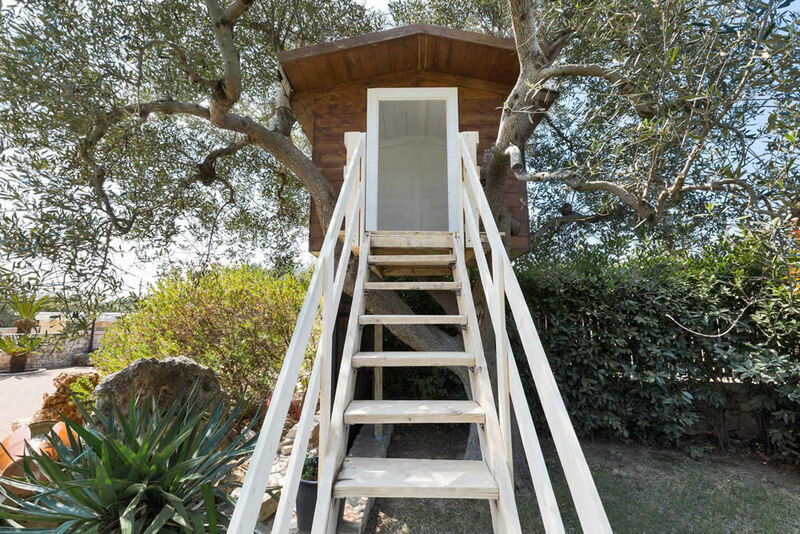 The tree house, destined for your children, is certainly noteworthy.